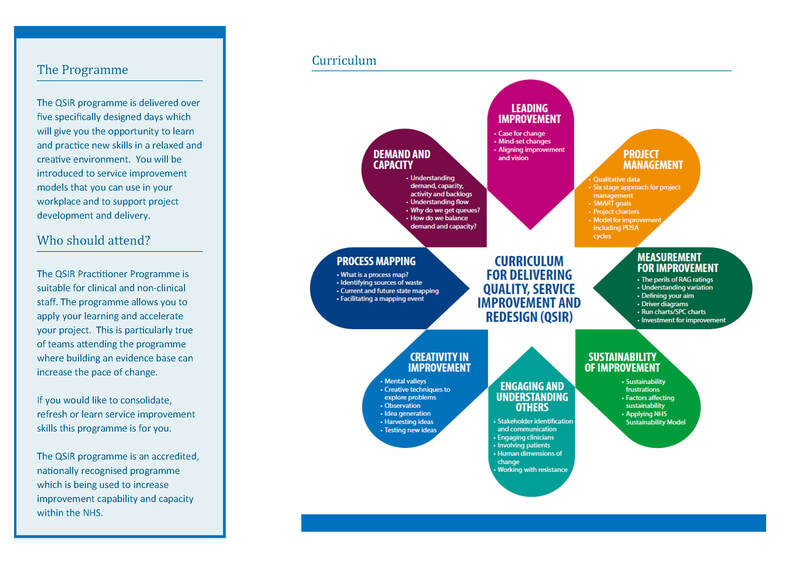 The next cohort of the QSIR Programme will commence in October 2018. We would recommend holding the Programme dates in your diary now. Involvement in a project is a key component of your application. We will review the applications and let you know if you have been successful by mid Sept 2018. The fee for this 5 day programme is £100 per delegate, payable by their organisation.